I don’t know a single kid who doesn’t love Unicorns. These magical creatures are all the rage. And to be honest i absolutely love them too. And as a mother of a 7 yrs old Unicorn girl i am always asked to help make Unicorn themed crafts. This is all she wants to make ALL The Time. But my favorite crafts are those which require the least effort, use easily available materials and that turn out gorgeous. 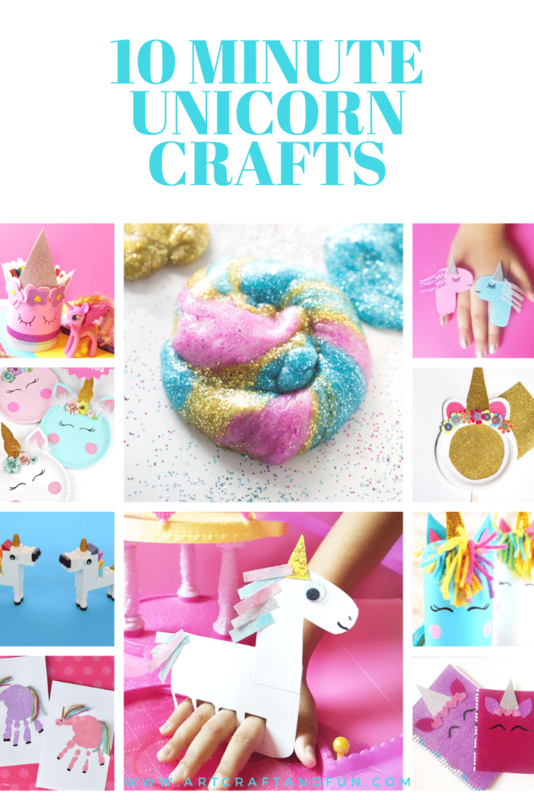 So I decided to create a go to list of 10 Minutes Unicorn Crafts For Kids. 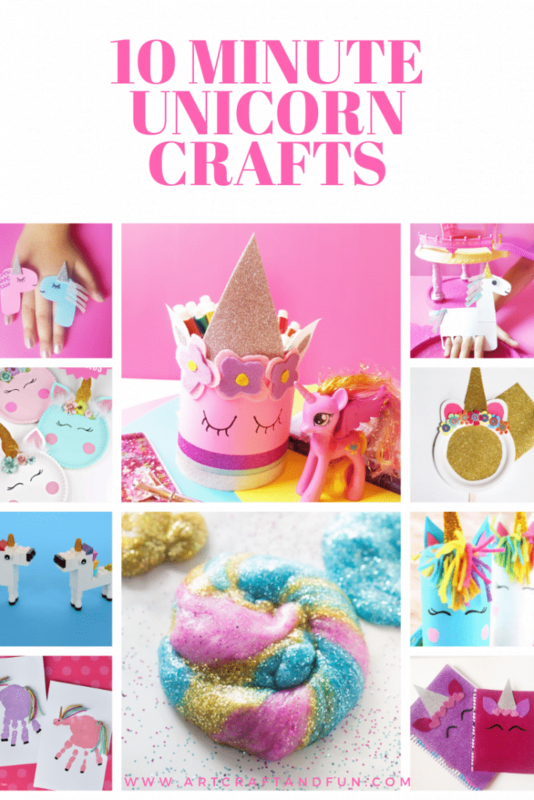 These gorgeous 10 Minute Unicorn Crafts For Kids are just so magical and super easy to make. I kept in mind to select only those crafts which can be made in 10 min or so and the kids can try making them with little help from adults. So let’s get started! 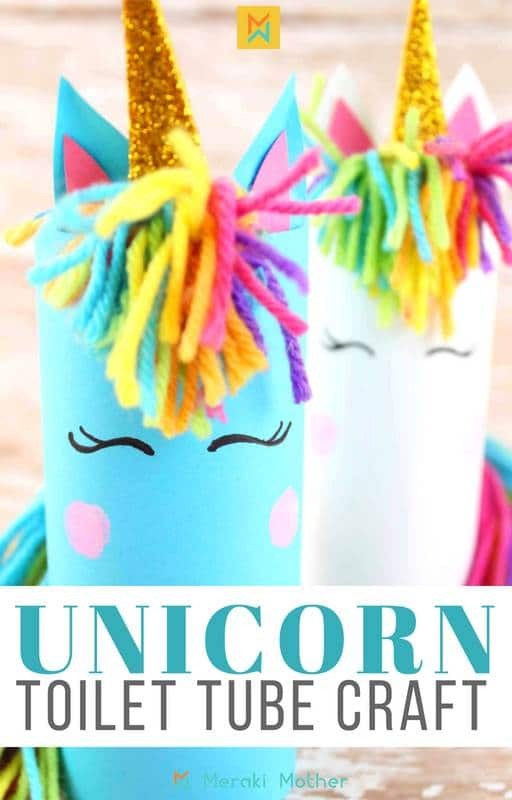 First on my 10 Minute Unicorn Crafts For Kids list is the easiest and most adorable unicorn craft ever. 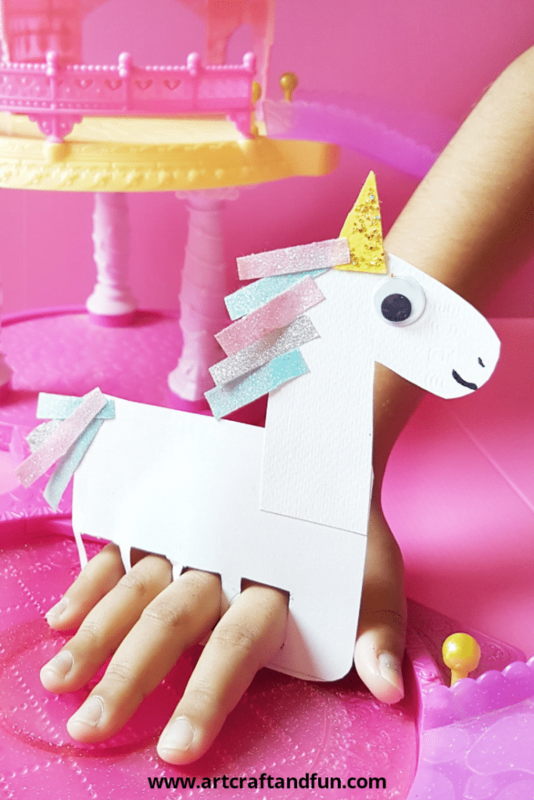 This is the pretty Finger Puppet Unicorn Craft. I highly recommend to start with this easy craft. 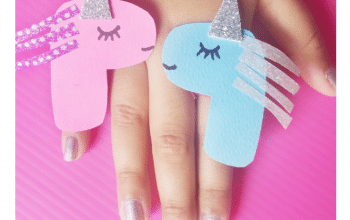 Your tiny unicorns can play make believe stories with this easy craft to no end. This super pretty Paper Plate Unicorn Mask by Dear Creatives is got to be one of the most favorite craft of all unicorn fans. Its so easy to make and turns out gorgeous. Another perfect craft to play with for hours. 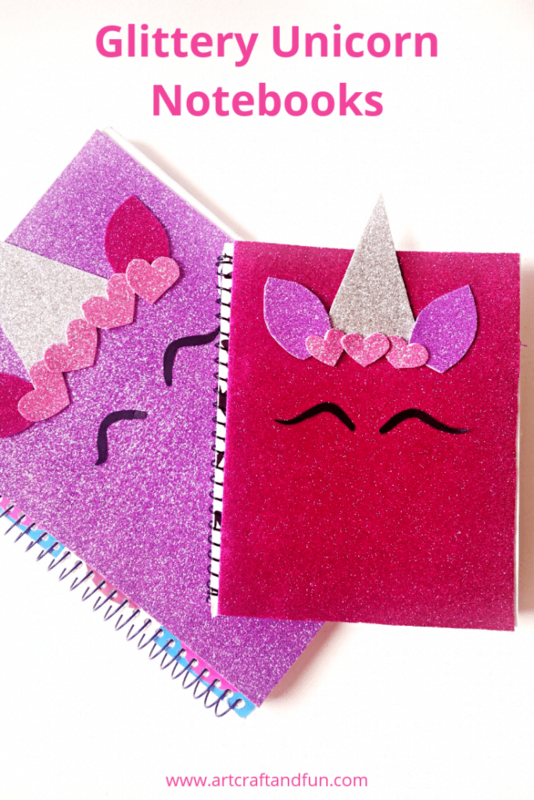 Now this easy to make DIY Unicorn Notebook craft is perfect for elementary school age kids. Its so glittery and uses only a few things to make. A magical way to start school this year. 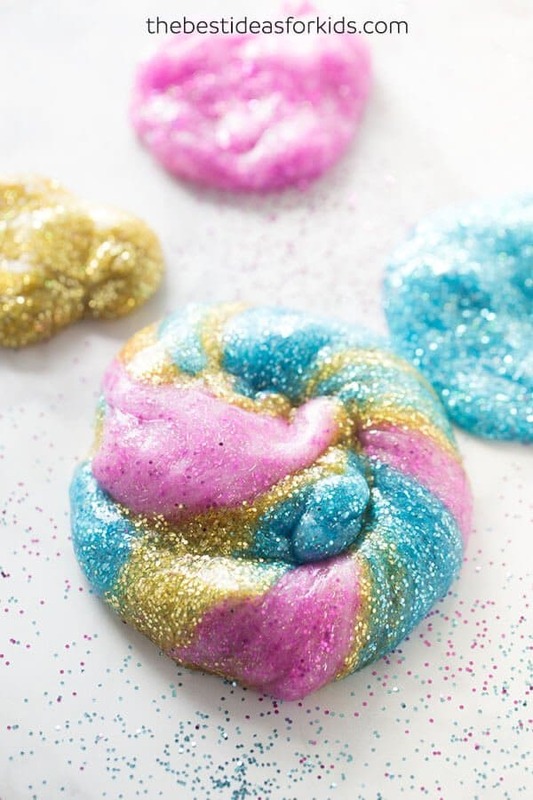 This is the ultimate best Unicorn Slime by The best ideas for kids. I absolutely love all the glitter and the pretty colors of this slime. This awesome recipe uses glittery glue which gives it the extra sparkle. If this isn’t the perfect slime ever then i don’t know what is. 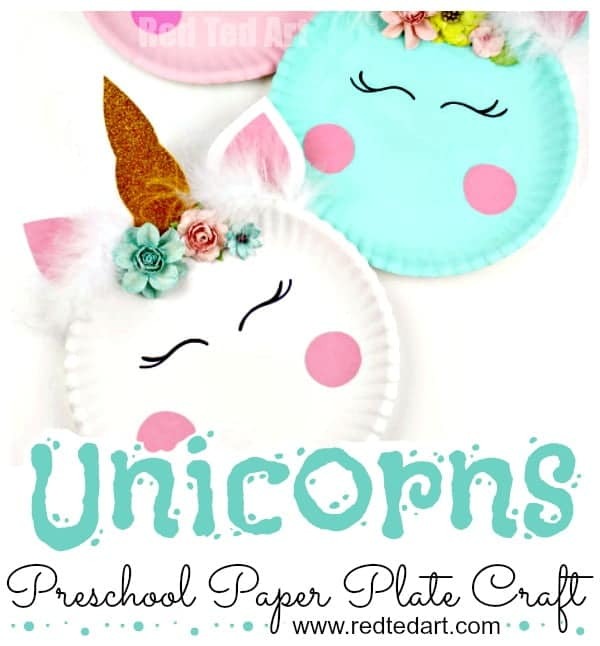 This Paper Plate Unicorn Craft For Preschool by Red Ted Art is perfect to make for your preschoolers. Its super easy to make and looks so gorgeous. You can even hang it around the room or put in on a table to decorate your kids room. 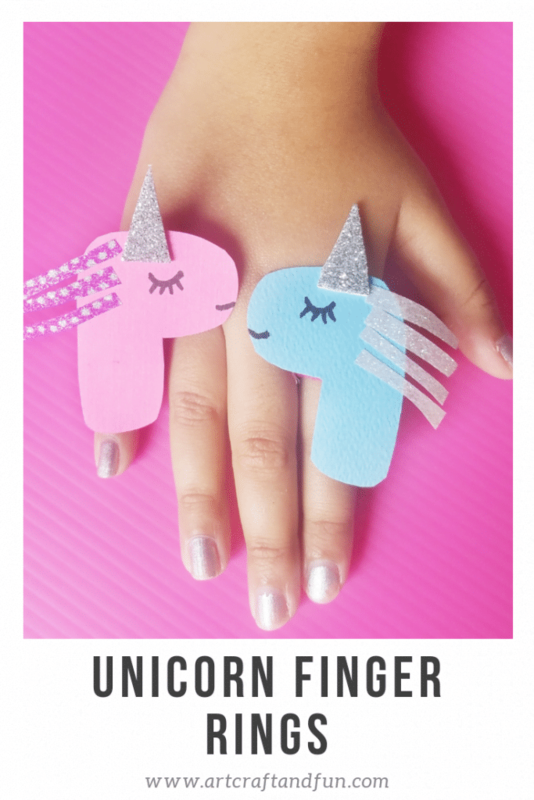 These pretty Unicorn Craft Finger Rings are also one of my favorite crafts. They are so simple to make its unbelievable. And they are super popular with the kids. My daughter wore these to the park and they were an instant hit with all the kids. 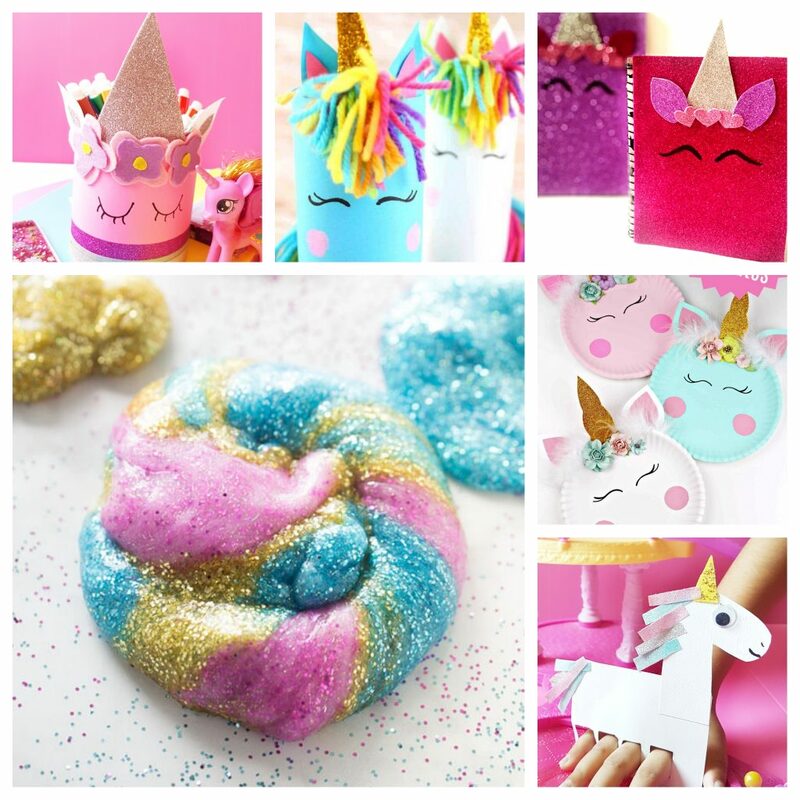 I love this Unicorn Toilet Tube Craft by Meraki Mother. Its so easy to make and would look so pretty as a decoration around the room. I am sure your little unicorns will love playing with this. 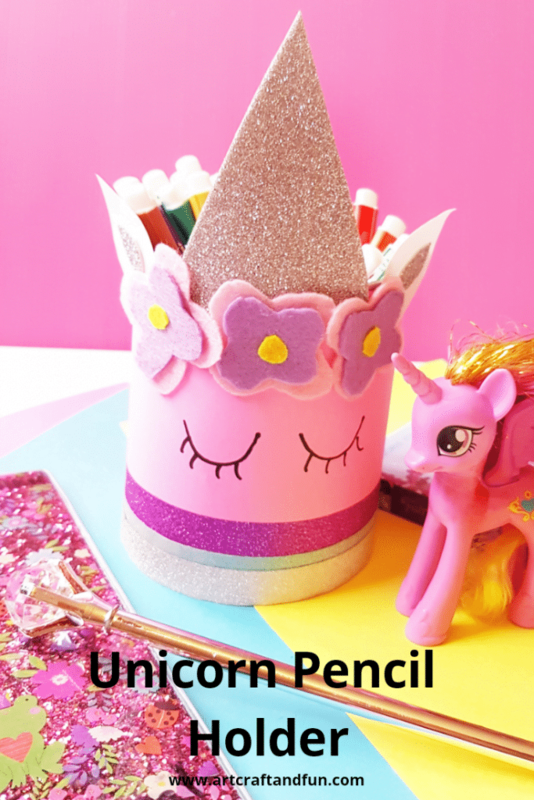 This Unicorn Pencil Holder Craft is such an useful craft to make with kids. Its also a perfect match with the DIY Unicorn Notebook. 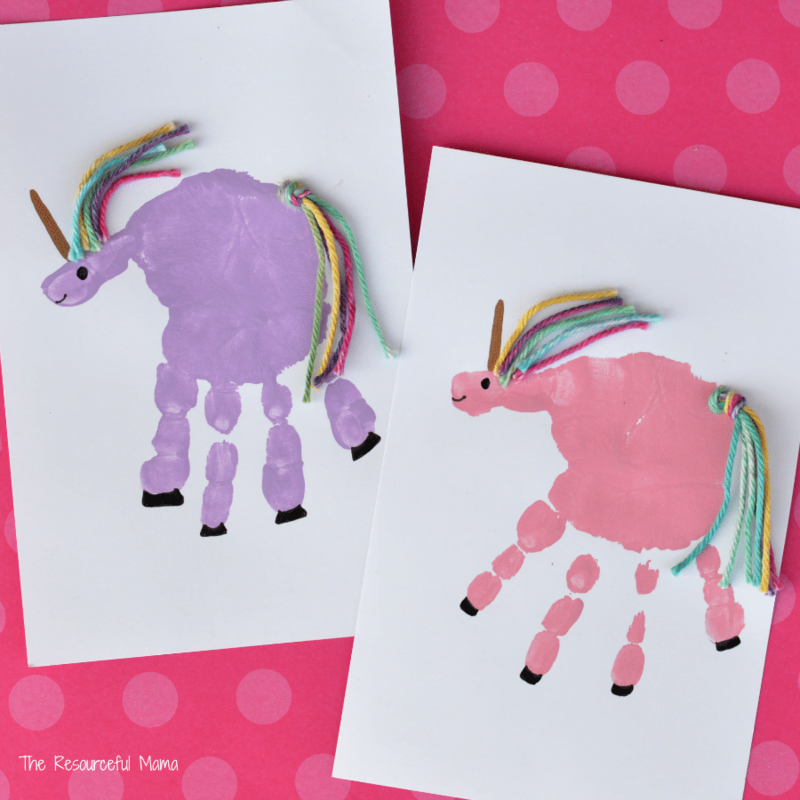 This Hand Print Unicorn Craft by The Resourceful Mama is got to be the prettiest hand print craft ever! Its a good craft to make with your toddler girl. You can even keep this as a safe keep. 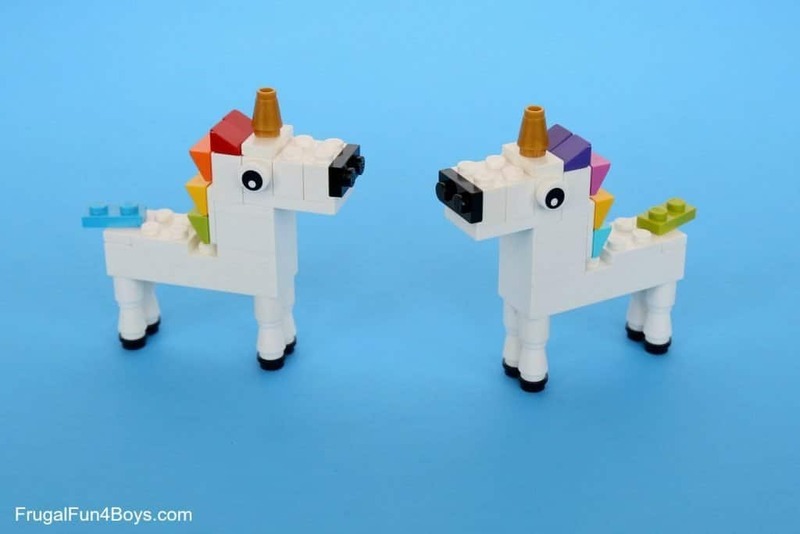 The Lego Unicorn Building Instructions craft by Frugal Fun 4 Boys is perfect for the Lego fans. Its super easy to make and looks so pretty. 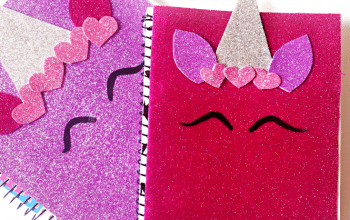 Another adorable magical craft for your little unicorns. 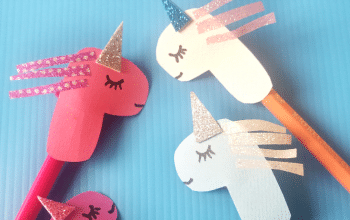 Make these Ultimate 10 Minute Unicorn Crafts For Kids with your kids today for some magical fun on a rainy day or whenever the whim strikes. I loved trying all these amazing crafts with my daughter. 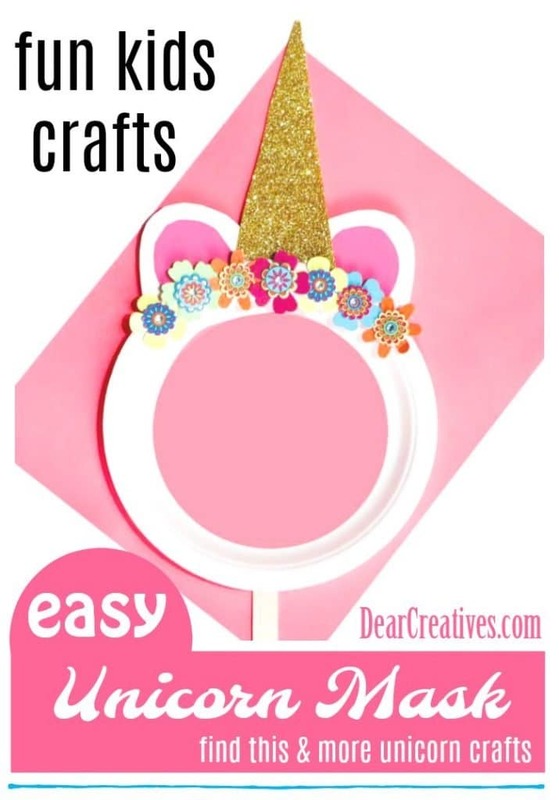 Hope you love them too.For more Unicorn Fun do try out my DIY Paper Plate Unicorn Photo Frame.